The joint users' meeting of the DESY research light sources and the X-ray laser European XFEL attracted more participants than ever before. Around 1,100 scientists from more than 70 institutions from 30 countries had registered for this year's meeting to discuss research possibilities at the bright X-ray light sources in Hamburg. With the X-ray lasers FLASH and European XFEL as well as the X-ray synchrotron light source PETRA III, the Hamburg region offers a unique combination of high-intensity research light sources cover a broad range of applications, ranging from biology and medicine to energy, material and geo science, as well as physics and chemistry. "One of the highlights of this year's meeting was, of course, the forthcoming start of the European XFEL," says DESY's Research Director for Photon Science, Edgar Weckert. The recently completed European X-ray laser, of which DESY is the main shareholder, is currently being put into operation and is expected to start first experiments in early autumn. Recently, researchers from all over the world were called to submit first experiment proposals. Additionally, DESY has significantly expanded research opportunities at its X-ray light sources PETRA III and FLASH with a total of three new experimental halls. "We thus offer our users not only additional capacity to meet the high demand for our facilities, but also new, previously unavailable experimentation techniques," emphasizes Weckert. 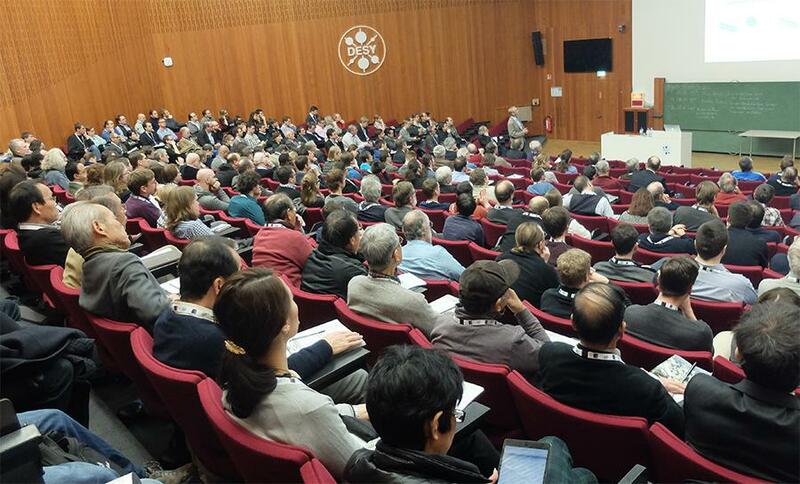 Both DESY light sources have been overbooked many times for several years now and again hosted high numbers of users last year: More than 2600 scientists from more than 30 countries did their experiments at PETRA III and FLASH in 2016. The leading research area at PETRA III last year was life sciences with a share of 30 per cent of all experiments, followed by energy research (21 per cent) and development of key technologies (20 per cent), such as telecommunications and information technology. At FLASH, energy research had the largest share at 40 per cent, followed by key technologies (29 per cent) and the development of instrumentation and methods (17 per cent). In addition to the new possibilities for experimentation, the focus of the users' meeting was on technical developments, the rapidly growing activities of DESY and its partners on the research campus in Hamburg and scientific results. In a total of 338 posters, 25 lectures and 15 satellite meetings, researchers presented the results of their work. About 50 companies showed their latest developments in X-ray research in an accompanying exhibition.